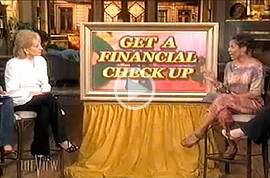 It’s Your Money So Take It Personally® – financial education and literacy. How do you set financial priorities if you don’t know which goals to pursue? When it comes to effectively and responsibly managing your money, all I need to know is what’s your decade? In these workshops and seminars, I give age appropriate money tips. What’s the frame of mind you need to be in your 20s when it comes to growing your money? You have the luxury of time on your side. How to catch up on savings and set new spending controls if you’re thirty-something and beginning to feel as if you need to do something differently money-wise. If you’re in your 40s, why you should be concentrating on eliminating debt. For those 50 and older, it feels like crunch time and it is, so I’ll help you fast track to getting on the road to a realistic retirement. Women of all ages have unique money i$$ues and should practice the mantra: I will make good money choices from this point forward. Every decade requires a refocused, committed money mindset in order to successfully make your personal money grow with you and for your goals. Any of Valerie’s presentations can be customized to meet the needs of your group. 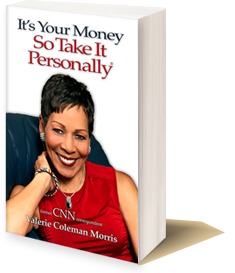 If you are interested in having Valerie Coleman Morris speak at your event, please send us an e-mail.